CBMR Mountain offers beginning to expert skiing. There are trails for everyone to explore the beauty of the mountain. Learn more about the wide variety of lift ticket options available for your trip. From multi day to half day options, you can find something to fit your needs perfectly. Nordic Skiing is the perfect way to get your exercise while enjoying the beauty of the Mountains. From Snow shows to Cross Country Skiing the Nordic Center has it all. 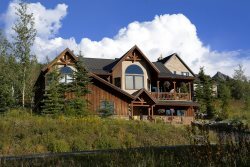 Black Tie Ski Rentals is Crested Butte`s first and premier ski and snowboard rental delivery company. Locally owned and operated for 12 years, Black Tie fulfills its promise of service by offering the largest variety of equipment delivered and fitted at a place and time convenient to its guests. Their Slope-Side guarantee means there`s no standing in line in a store. Black Tie techs will meet you slope side, or wherever you prefer, to address any equipment issues that may arise. Open until 9:30pm, Black Tie can get you outfitted the night you arrive so you are ready to go first thing in the morning, not waiting in line. Take advantage of preferred Iron Horse Property Management discounts. Butte & Co. has provided superior rental services to Crested Butte skiers since 1977! They offer free equipment exchanges, free overnight storage, and top of the line equipment care and tuning. Door 2 Door offers guests the convenience of ski and snowboard rental delivery right to their front door; offering an alternative to the traditional experience of visiting a store location. Our services are perfect for renters, including families, who don`t want to deal with the stress of getting their rental equipment from a store but still want to receive expert fitting and the highest quality gear. Additionally Door 2 Door is the only ski and board delivery service in Crested Butte to offer support from brick and mortar locations at the base area. If our Door 2 Door guests need additional services, including storage, they can visit Christy Sports or Flatiron sports located at the base of Crested Butte Mountain Resort or The Alpineer in the town of Crested Butte. liding over the snow pulled by happy enthusiastic dogs. Silent except for the swish of runners on the trail and the breathing of the dogs. Breath that frosts their fur. Moments ago they were loud, leaping and yipping "Let us go!!!" Happy to be on the trail, they whisk you over the snow into the adventure of a lifetime. Snowmobiling has become very popular (2nd only to skiing), and Crested Butte has some of the most spectacular backcountry scenery in all of the Rocky Mountains. Snowmobile adventures fill up quickly and should be booked in advance to avoid disappointment. Don`t miss out on the fun for the entire family. Your Adventure Starts Now! Let the experienced guides at CO Backcounrty plan an experience to remember, whether it is skiing in Crested Butte`s famous backcountry terrain, an overnight trip to a ski-in hut, or a snowshoeing adventure to areas you would never see otherwise. Crested Butte is quickly emerging as a fat biking haven. Rent a bike from the knowledgeable staff at Big Al`s and explore this popular new sport. CB South Fitness is a local gym located at 310 Elcho Ave, Crested Butte (in the CB South commercial district). Offers include strength and cardio equipment, easy key card entry, and convenient hours from 5am - 10pm. The Gym, serving all your fitness needs....weight room with complete line of equipment a cardio room with a broad selection of excercise machines. Also offering a variety of classes taught by qualified, motivated instructors.